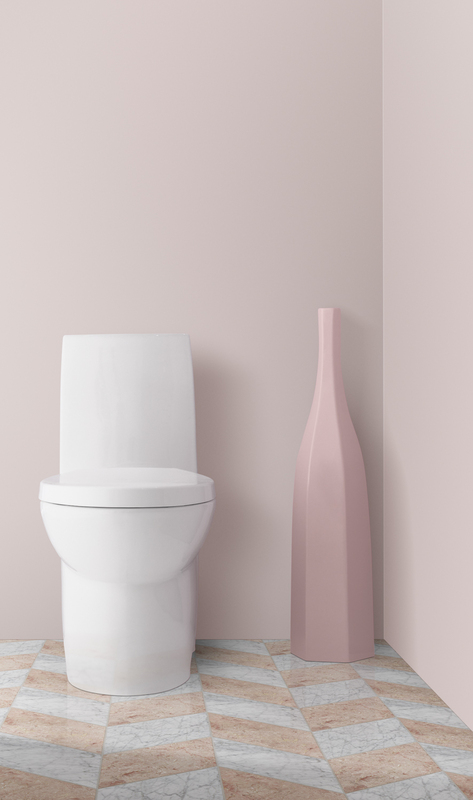 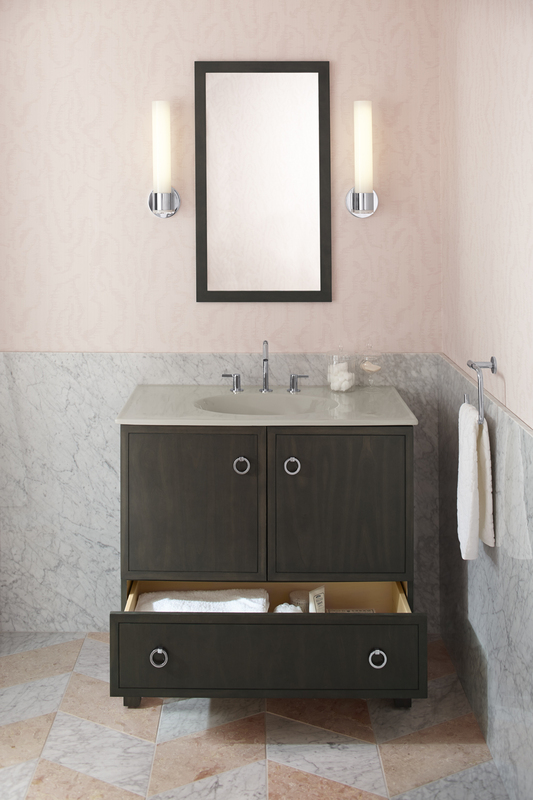 Modern and minimal, this bathroom manages to also be approachable and playful. 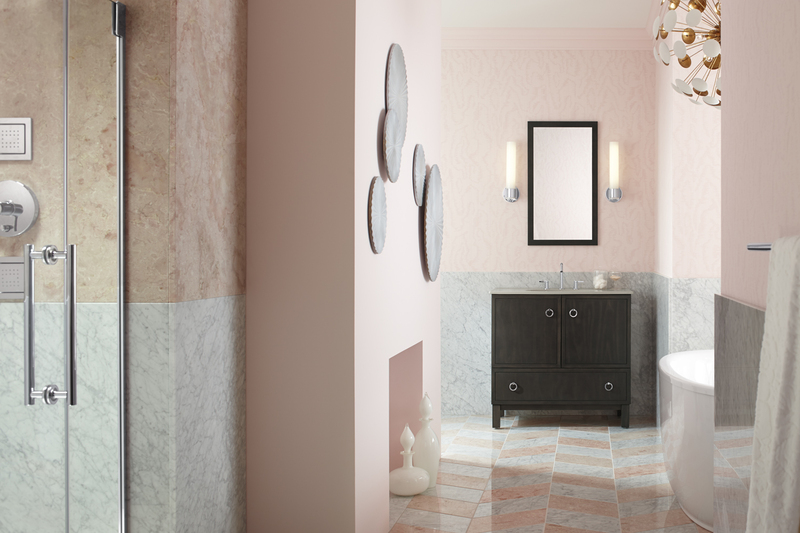 An easy mix of pale pinks and grays softens the cool formality of marble while the separate freestanding bath and shower areas make it feel spacious and uncluttered. 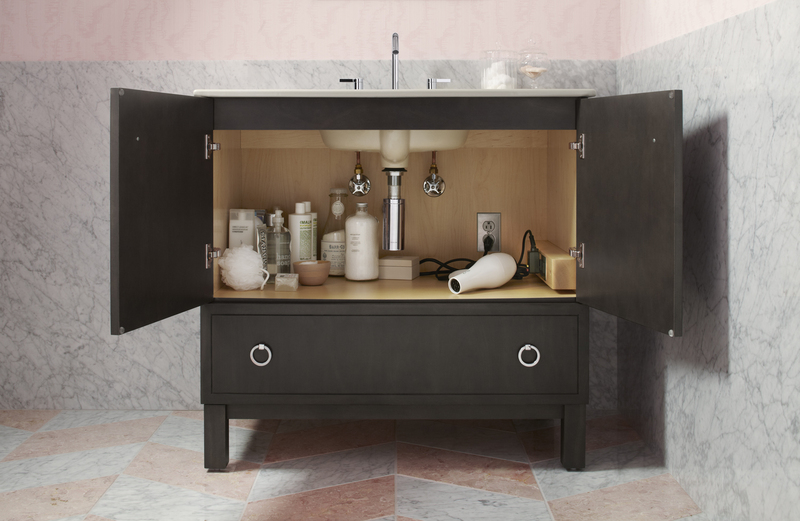 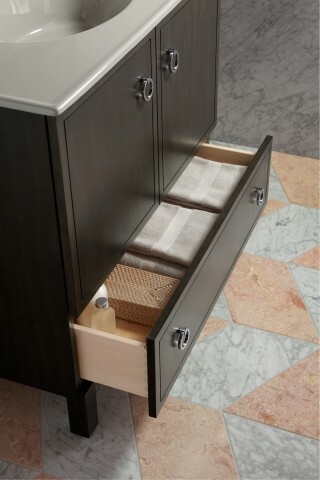 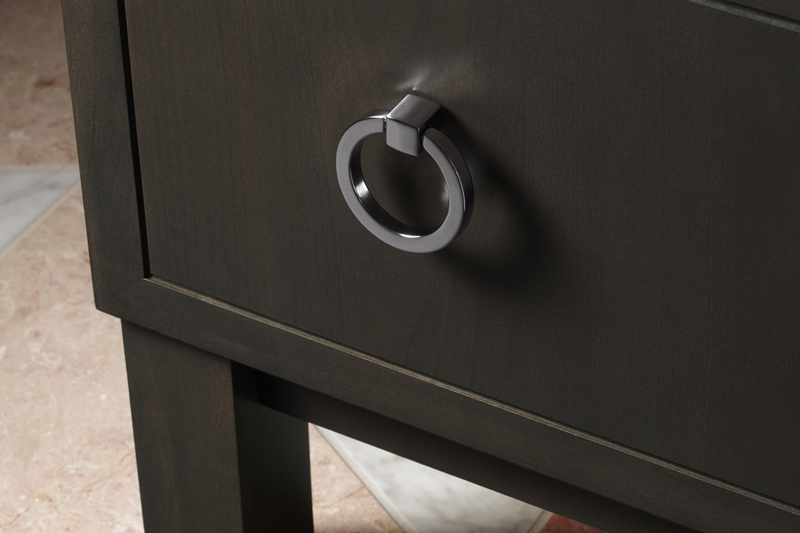 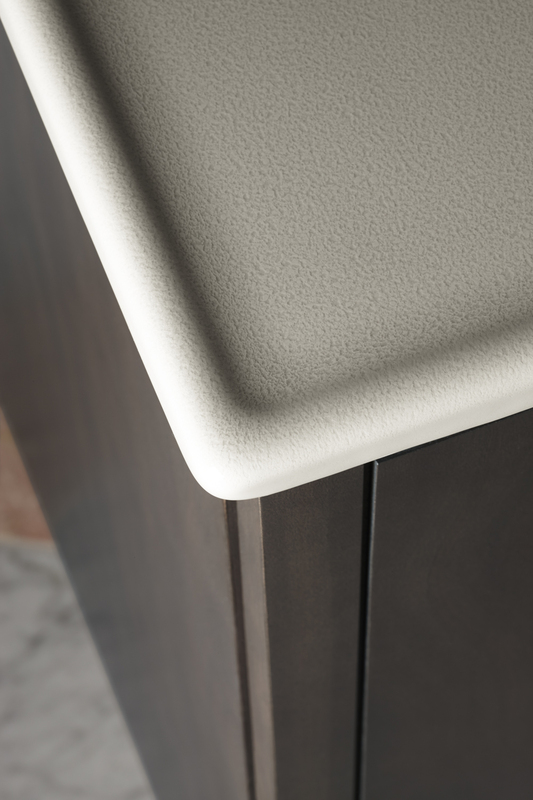 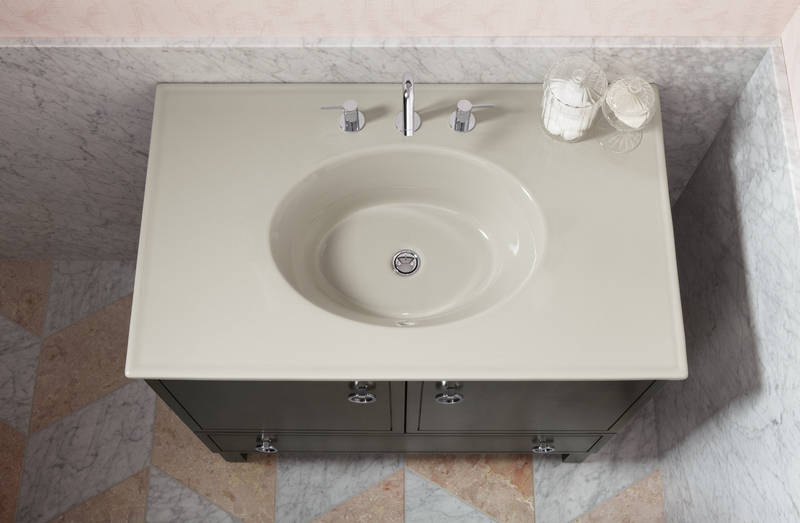 The small vanity provides ample storage space for essentials. 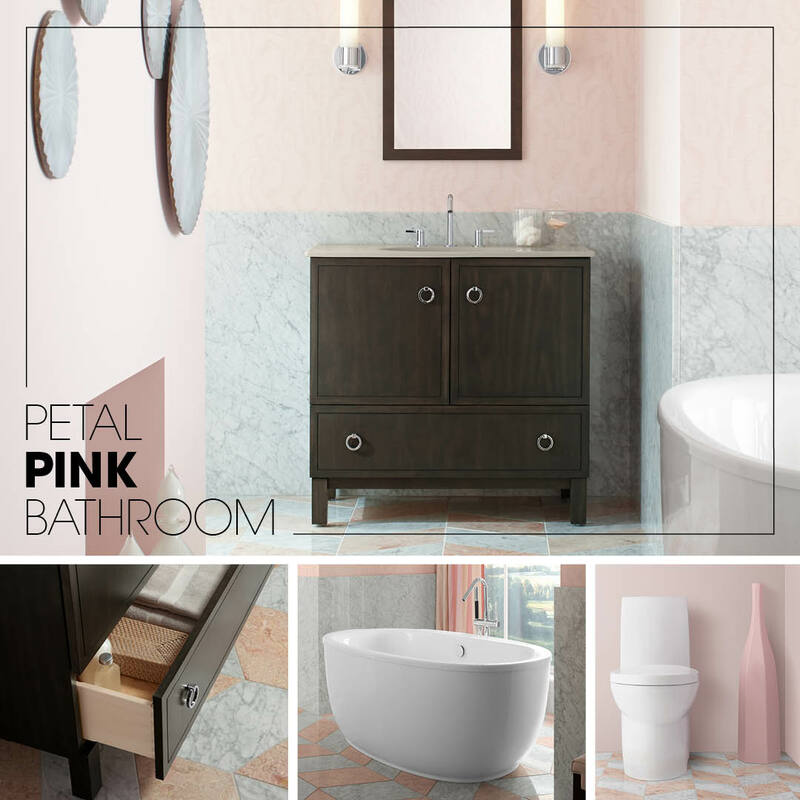 Click the photos below to explore this room and learn more about the products.